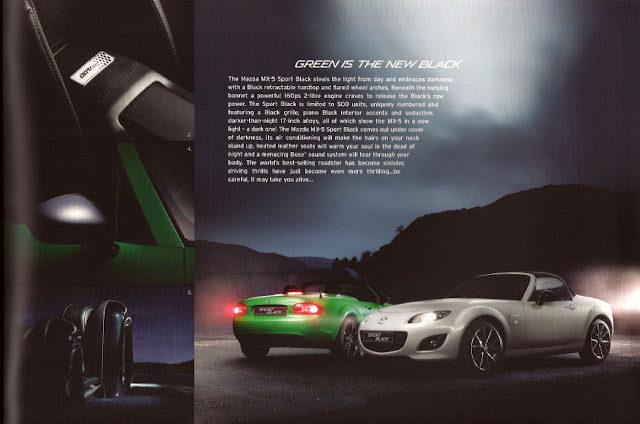 The MX-5 Sport Black was a UK special edition released in 2011, there were 500 available. 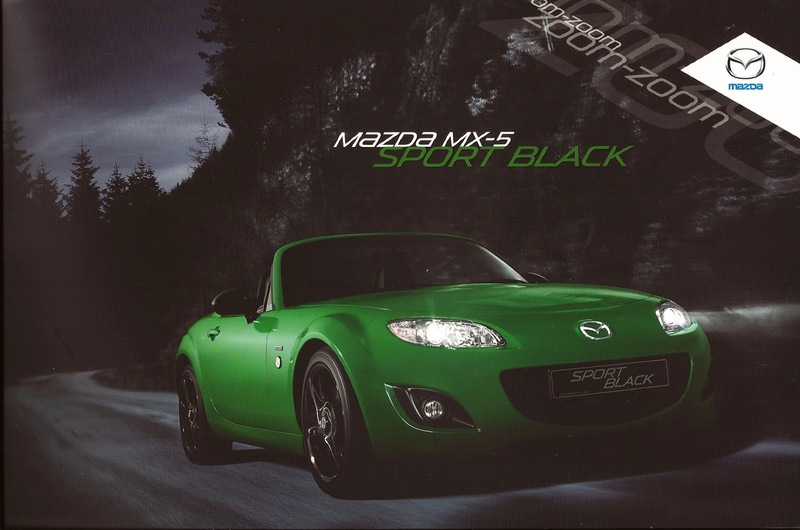 Sport Black was created to celebrate the success of the MX-5 GT race car in the Britcar 2011 GTN Production Championship, it was based on the 2.0 Sport Tech coupe model. As the name implies it introduced some new black features not previously available. The Sport Black model is notable for the introduction of a unique paint colour named Spirited Green Metallic, it would not be seen on any other models. 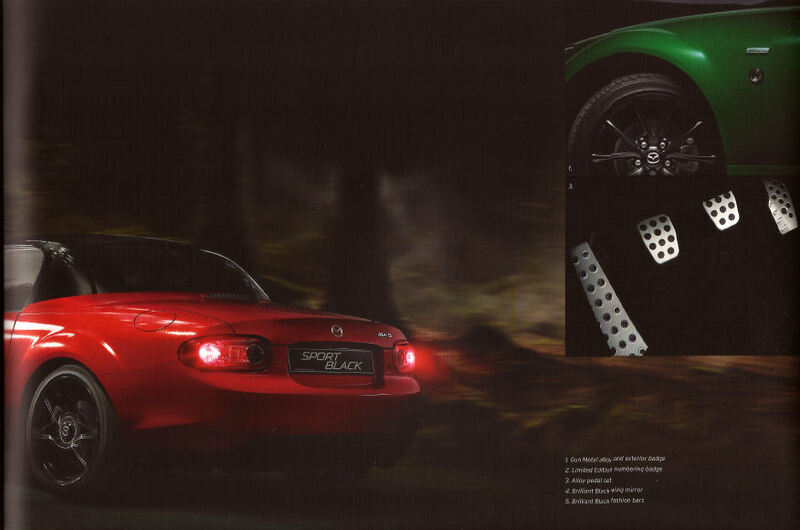 The car was also available painted in Velocity Red Mica or Crystal White Pearl Mica. 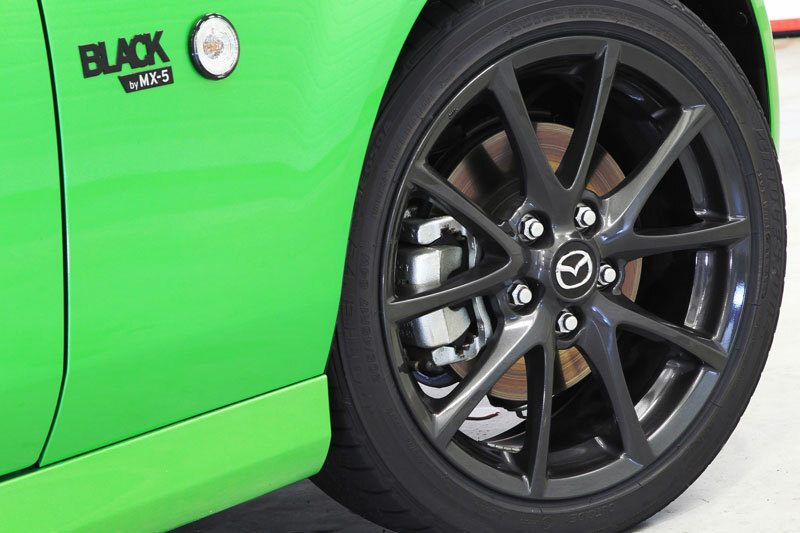 Other exterior features included a black contrasting electric hardtop and wing mirrors, and some dark gunmetal painted 17" alloy wheels. 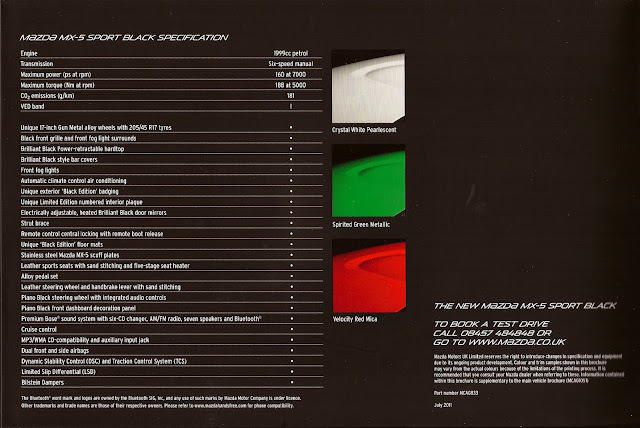 Some cars were also given black exterior graphics inspired by the GT race car. The front foglight bezels, roll bar covers, and front grille also got the gloss black paint finish. 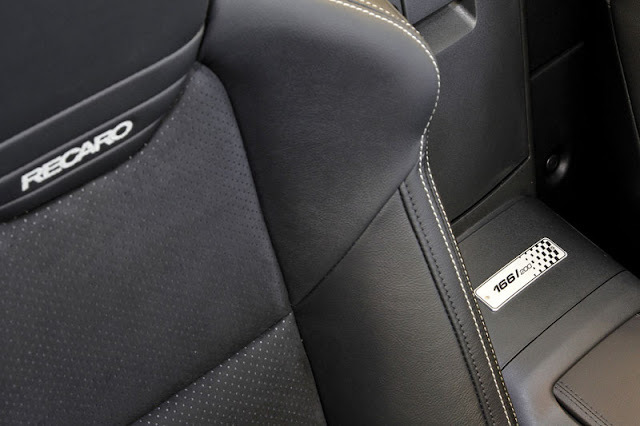 There were also some additional interior trim pieces such as the alloy pedal covers included. 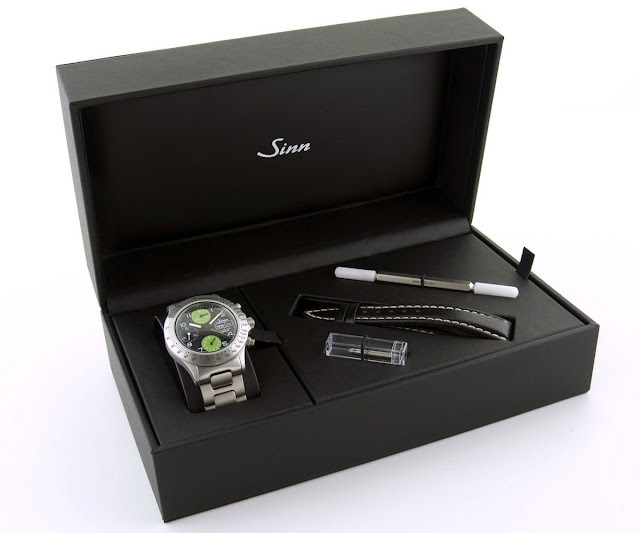 Sport Black was priced at £22,995, which was a £360 premium over a regular Sport Tech. 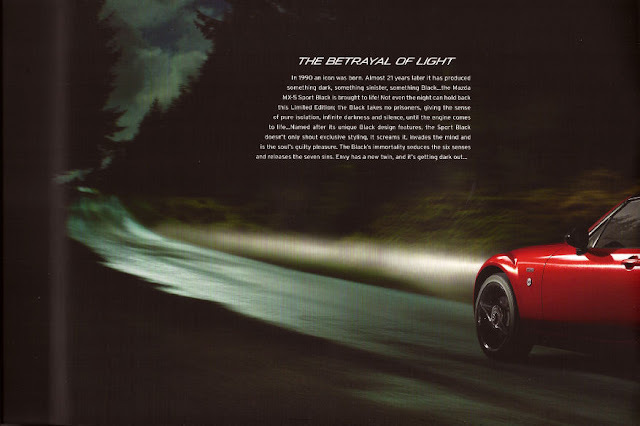 The black contrasting features gave the car a more aggressive look as was emphasised in the marketing photos of the time featuring a moody forest at night. As with many of the special editions there are slight variations across markets. In Japan the car is known as the Black Tuned, in the USA it is known as the Special Edition and only available in red and white, in France it is known as the "Black by MX-5". The German version of the car is known as the Karai (it means 'sharp'), possibly so as not to cause confusion with Mercedes' AMG Black models. 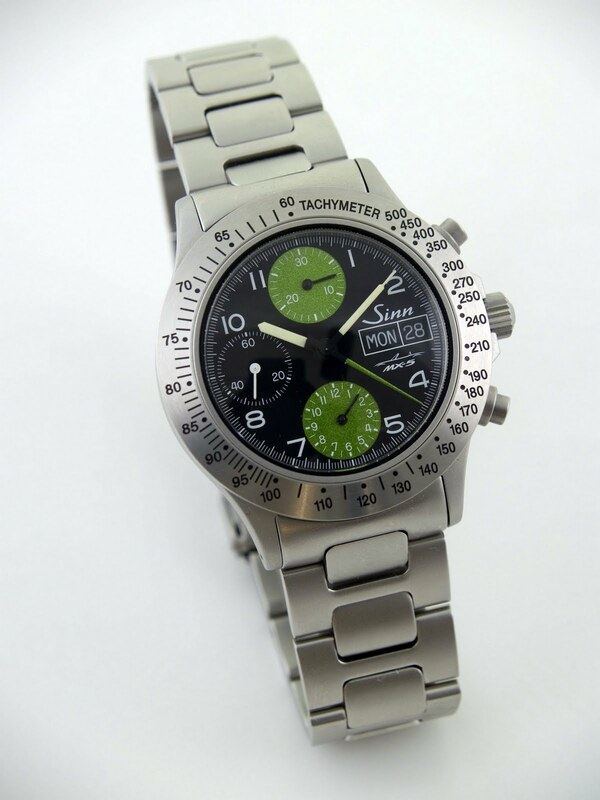 The German and French versions are worth mentioning as they had some nice extras including black leather Recaro seats and for Germany a collector's souvenir gift box with a very cool MX-5 branded watch made by watchmaker Sinn, and valued at over £1000.